The Karen Entrepreneurs Association will be established in July with the aim to develop Karen youth entrepreneurs, according to the Yangon Region Karen Literature and Culture Committee (KLCC), which is organizing the association. Yangon Region KLCC’s joint secretary – 1 Saw Bo Bo Wai Maung said the Karen Entrepreneurs Association will be established with Karen entrepreneurs from across the country and it will be established first in the Yangon Region with successful Karen entrepreneurs and Karen youth entrepreneurs running small and medium enterprises (SME) in the Yangon Region. “This association will comprise entrepreneurs and youth entrepreneurs. There is a plan to establish the Karen Entrepreneurs Association across the country by joining these two types of entrepreneurs with the aim to develop Karen youth entrepreneurs. A plan is underway to establish [the association in Yangon] first by uniting the Karen entrepreneurs from Yangon,” he told Karen News on June 8. The organizers said they are gathering Karen entrepreneurs who are successful in the fishery industry, agricultural industry, and other businesses to lead in the establishment of the Karen Entrepreneurs Association. “Our company hasn’t been contacted yet. I support the establishment of the Karen entrepreneurs Association. It is needed. For example, it is more convenient to do local and international trading via the association,” Saw Ho Shay, director of Karen Eco Company, told Karen News on June 9. 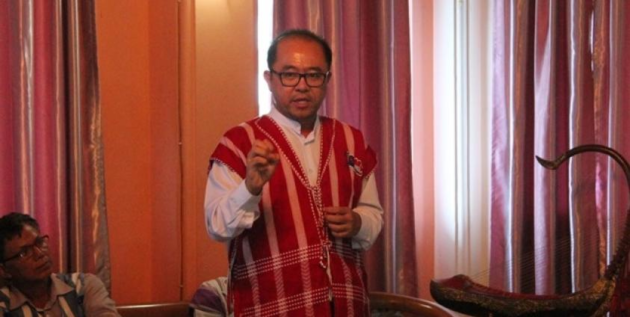 During a meeting of the Yangon Region KLCC held in Yangon on June 8 evening, the Karen Ethnic Affairs Minister Naw Pan Thinzar Myo has also urged the regional association to contact Karen entrepreneurs from respective townships in order to establish the Karen Entrepreneurs Association. Economic sub-committees have been established in the township KLCCs in the Yangon Region and the regional KLCC aims to work together with Karen youth entrepreneurs group and the Karen Entrepreneurs Association in the future, according to officials from the regional KLCC.